If you just want to ‘chill’ or have overdone the touring and sightseeing, why not relax on the terrace by the pool with a cool glass of something, or sit under a tree in the garden with a book listening to the birds. Perhaps you fancy a jacuzzi to soothe away the aches and pains of more strenuous excercise, followed by a drink in the adjacent bar area. At Ile d’Oleron oyster beds and local markets. Oysters are available all year round and range in price from €3 to €5.50 per kilo according to size. €6.50 will buy you about 18 of the jumbo ones! Major brandy houses at Cognac and Jarnac, plus local distilleries and wineries for tasting and buying. A large fortress town and capital of the Charente Departement. This ancient town, with wonderful ramparts surveys the Charente valley below. The 12th Century cathedral is reputedly one of the best examples of Romanesque architecture in Europe. A wide choide of restaurants and shops are to be found in the old town. Angouleme also houses the Musem of Cartoons and the Museum of Paper, located at the Moulin de Fleurac. In September, the famous ‘Circuits des Remparts’ provides a weekend of vintage car racing round the ramparts. Capital of the most famous wine region in the world. Provides all the culture and shopping of a large and sophisticated city associated with the centuries old wine trade. Home to Hennessy, Martell, Otard and Camus cognac houses. Located on the banks of the river Charente, Cognac was the birthplace of Francois 1er. The new museum of Cognac is certainly worth a visit, followed by a guided tour of one of the cognac houses. Boat trips are available from near the marina located at the end of the main quay. Located further downstream on the Charente, the main square of this delightful town is dominated by the Chateau du Courvoisier. Jarnac is also home to some of the excellent but less well known cognac houses. 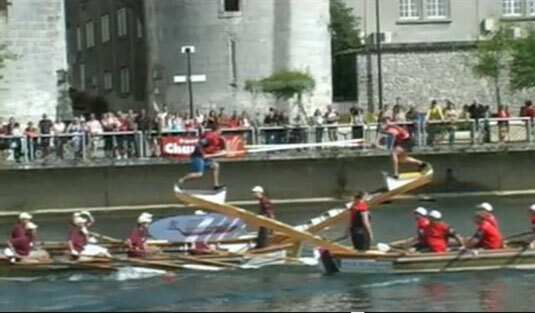 Capital of Charente Maritime, as well as being a major port and sailing centre. In the Vieux Port (old harbour) area you will find many good bars, restaurants and sophisticated shopping in wonderful arcaded streets. The underground car park at Place Verdun makes exploring the town on foot very easy. There is also an aquarium and several museums to visit. Our nearest small town boasts three supermarkets, several banks, a thrice weekly covered market and a range of shops to cater for most needs. There are also two restaurants, as well as tennis courts and a boules park. include the Begonia Greenhouse, Le Jardin de Retors and the Station de Lagunage for wildlife. Home to Bisquit cognac located at Chateau de Ligneres. There is a wonderful street market on the 27th of each month, selling everything including animals, food, wine, clothes, machinery, household items and much more. Located on the banks of the Charente, it was the centre of Roman civilization for the area and also a stopping point for the pilgrims en route for Santiago de Compostella. There remains a well-preserved amphitheatre, thermal baths and triumphal arch. The cathedral and excellent, mainly pedestrianised shops provide something for everyone. An attractive old town with cobbled streets and medieval buildings. The unfinished, twin towers of the Abbey Royale make a striking landmark when approaching the town from the north. Please ask for a list of market days in numerous towns and villages, plus other interesting places to visit.